Connect with Nomads all around the world. 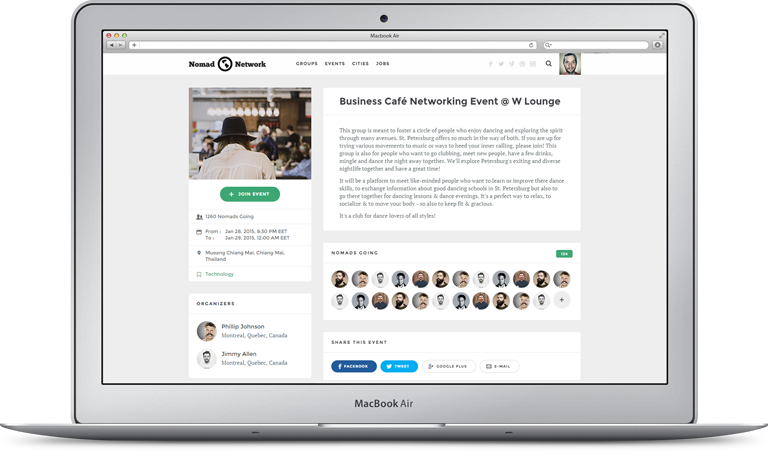 Nomad.Network is a free social network for Digital Nomads. The idea of Nomad.Network is to make your trip easier, cheaper and much more fun. 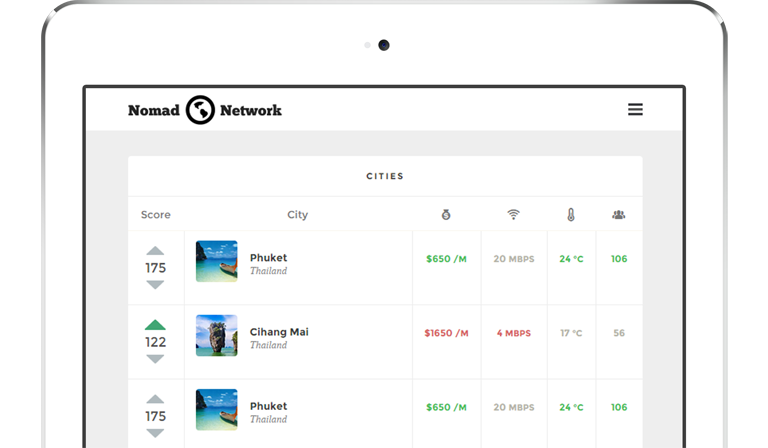 Nomad.Network allows you to talk, ask and meet other digital nomads and local residents wherever you go. Now you have the opportunity to know what places to visit, where to live, where to eat, where and when the best party is, but all of this information is provided and shared by people like you, instead of some travel agency. Nomad.Network is created by a small Digital Nomad team like you, it's all free and will be always free. Please join and help us to make this site more useful. In our Discussion Groups, you can exchange nomad-specific tips and advice. Are you planing to go to another country or city? just join a city group and ask anything you need, one of the thousands of nomads or locals will definitely help you. Are you bored at home while working alone? why don't you just create an event or join existing events and meet new likeminded people, both nomads & locals, and feel at home in your new city. Explore new places, see most voted cities all around the world. 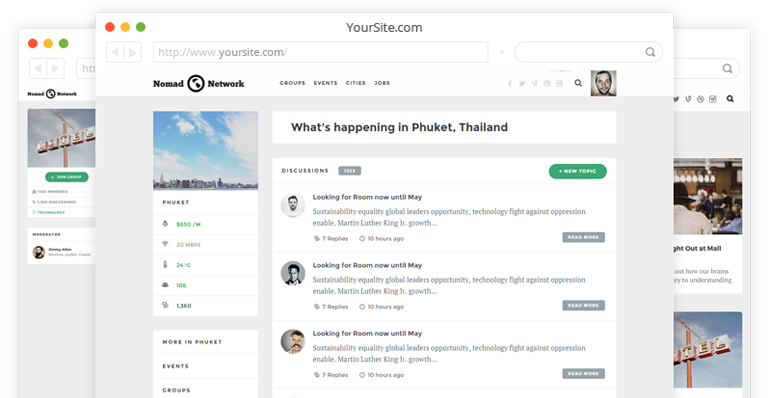 And you can find much more nomad-specific information in every city, find the best coworking spaces,what's the best place to stay and where it's located. what to eat etc.